2/2 way Latching bi stable brass solenoid valve, port sizes 1/2, 3/4, 1, 1 1/4, 1 1/2 and 2″ BSP or NPT thread, pressure range 0 to 3.5 Bar. These direct acting or assisted lift hung diaphragm solenoid valves are available in 12vdc. Latching solenoid valves require only a short pulse of electricity to open and will stay open even if no electrical power is applied. 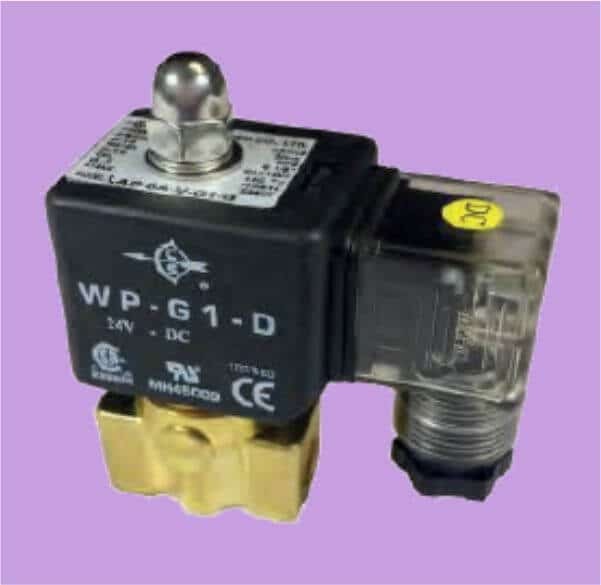 To close the latching solenoid valve a short electrical power pulse with reverse polarity and the latching solenoid valve will close and stay closed. Latching Solenoid valves are a very eco environmentally friendly way for On/Off control of water. 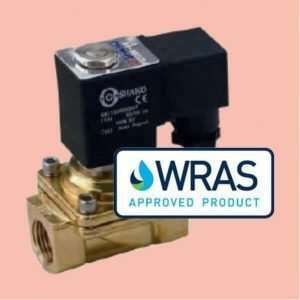 Direct Acting Latching Solenoid Valve also known as Bi-Stable Solenoid Valves will open or close regardless of the pressure in the system and are ideally suited to low pressure, gravity fed and closed loop systems. Latching Valves use a permanent magnet that latches the valve either open or closed. To move the valve from open to closed, a 50 millisecond DC voltage is applied to the coil. To open the valve again, a reverse polarity pulse is applied to the coil.